Custom tubs | Bartok design Co. 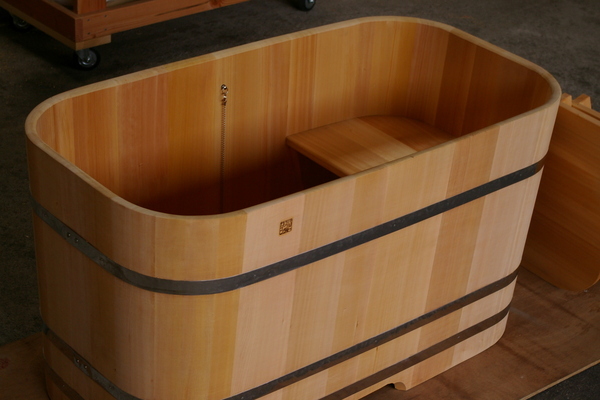 Custom tubs – Page 7 – Bartok design Co.
A client who ordered a wooden tub and accessories from us decided to use our hinoki wainscoting for finishing the walls of his workplace. The quality required was knotless in 19mm thickness. Plank cut. 1 face is AB grade (without noticeable knots.) Origin: Mie Pref. I am looking forward to seeing the pictures of the completed job! This order was coordinated by the owners` architects. We discussed several options, sizes and details. In a couple of occasions the owner asked some more time to consider the details but the project went on smoothly. The architect was also very cooperative in taking care of the ISF filing. Recently, a new regulation has been implemented for ocean freight imports. The importer (the client) has to fill a Importer Security Filing and submit it before the merchandise is boarded in Tokyo port. The procedure is quite simple but of course it is a headache for every first-timer. Our forwarder`s clumsy english complicated things in the beginning but the client always positive attitude allowed us to literally jump over all the obstacles! 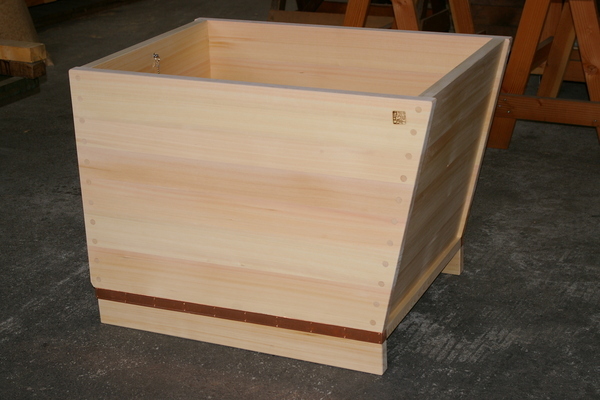 As you can see our tub this time is a minimalist box, L1500mm x W800mm x H640mm (ext. dim.) 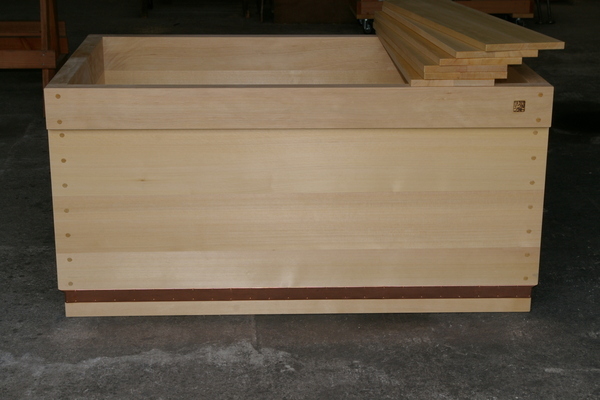 530mm(deep) with a L-shape corner (no top frame) This detail required 47mm thick planks @ walls. 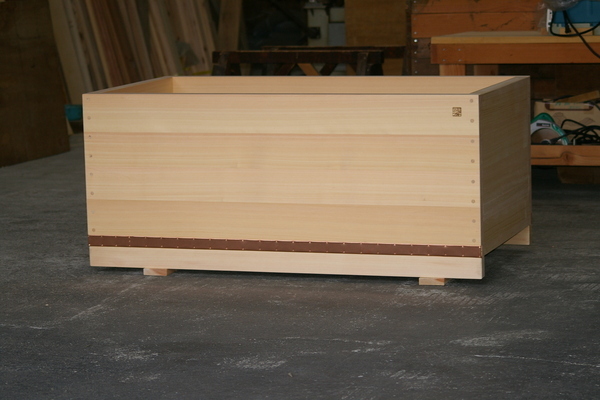 The material of course is japanese Knotless (quartersawn) Hinoki wood. 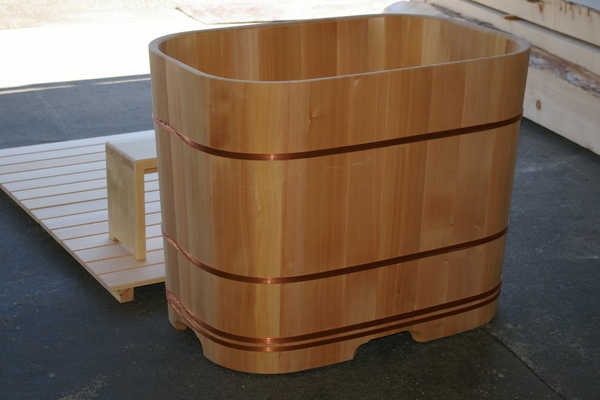 and the tub has a copper apron, and wooden dowels details for the corner joint. 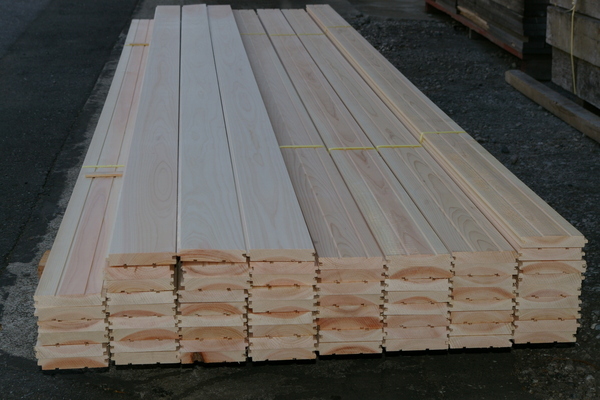 This time the local carpenter is going to build a duckboard on site so we send matching material. If I close my eyes, I can already see the tub surrounded by the floor grating and filled with steamy water! We received an information request for this tub on the last day of the year. The construction work on the apartment was still in progress so the manufacture was scheduled for may. It ends up that the work is ahead of schedule so the production should be anticipated. 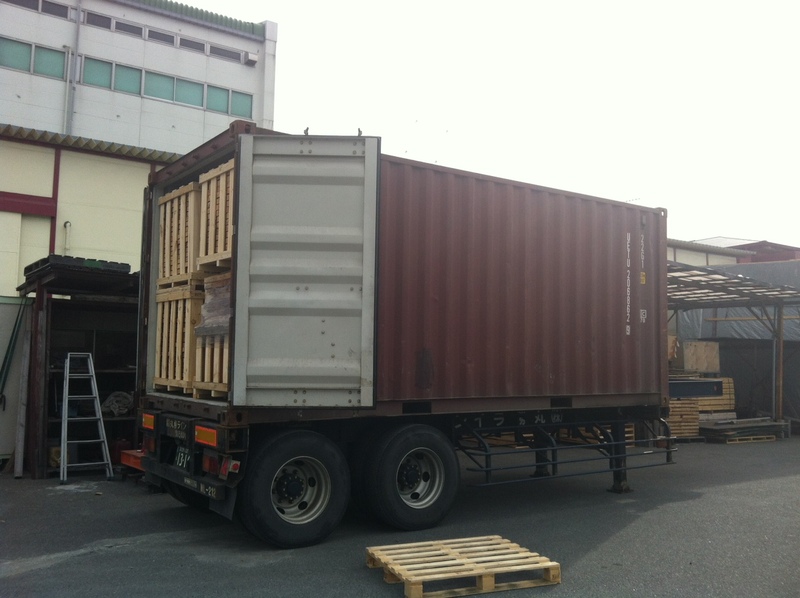 Luckily, for a shipment to Singapore of a small sized tub, airplane is cheaper than sea-freight so we could cope smoothly with the change of schedule. Here is a picture of the inside. No matter how compact, the soft touch of wood will give you the feeling of a roomy and comfortable space. This project went thru a very smooth process. It took about 2 weeks for deciding the options, 2 weeks for construction and 4 weeks for shipping and delivery. 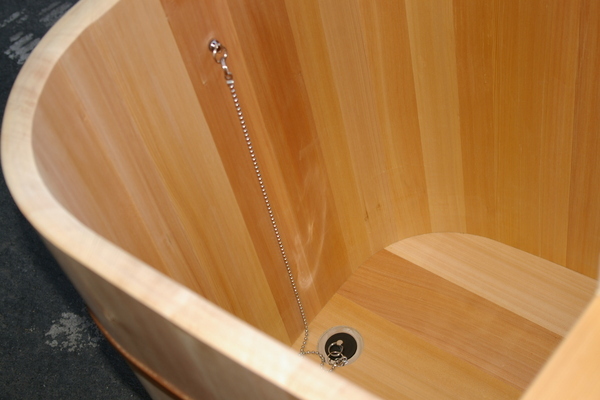 The client went thru our website carefully and indicated a custom tub close to her image. The tub is to be used outside so we recommended a thermal cover (to be purchased locally). During the winter the cold temperature results in a lower relative humidity. If the tub is winterized we would recommend to wrap the tub with a cellophane sheet before covering it, to prevent the humidity loss. The tub is in asnaro wood. The ofuro has an internal removable seat and was supplied without installing the drain socket. Once the exact location has been determined, the local contractor will drill a hole in the solid wood and apply the drain socket we supplied. We received a kind and neat mail contact on 12/2, which we promptly replied. On 12/10 the details were defined and we received the pre-payment. The tub was completed on 12/24, the client requested a small modification to the chain holding the rubber plug and we shipped it on 12/27. This order was really a sprinter, rapid and efficient! L900mm x W700mm x H750mm (ext. dim.) 617mm(deep). 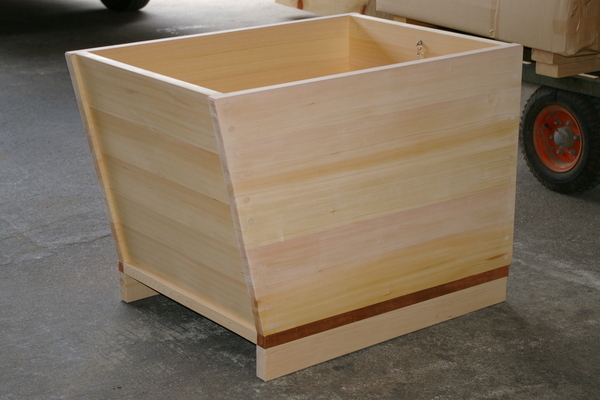 The bottom apron is finished with natural oil and the joints are capped with wooden dowels. There is an internal seat in matching asnaro wood. Finally, here is a picture of the interior with the removable bench. The drain is hardly visible because it is hidden under the seat. We can say this tub was a sprinter, but I am sure that the owner will slow down and fully enjoy the relaxing time with the hot water up to the shoulders! 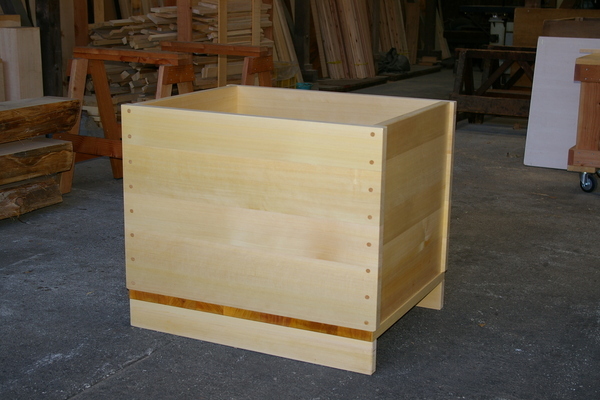 The client first considered a tub from our outlet corner, in the end he opted for a custom tub. The process was very efficient and the we carried on the communication mainly by email. 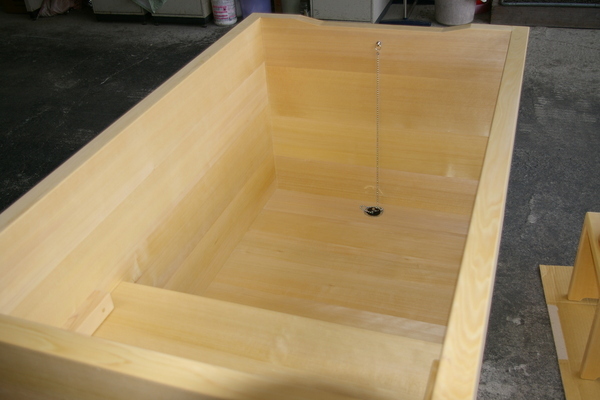 Here below is the well proportioned and functional asnaro bathtub. Q1) Does it have an internal seat? If there is currently no internal seat, could one be added out of the same material? What about a cover? I like the traditional cover–could this also be constructed out of the same wood and included? 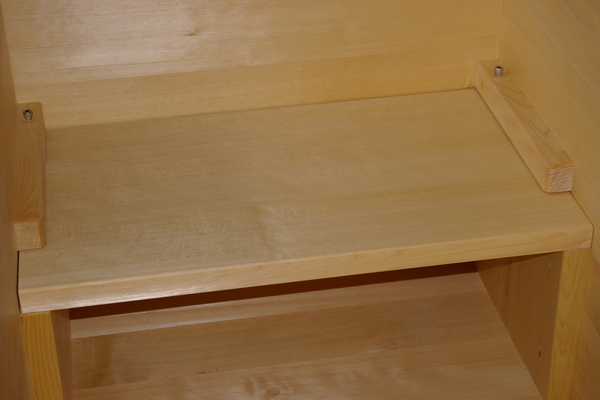 Can a step bench and stool also be constructed out of the same or matching material? A1) We can provide the accessories in matching asnaro wood, anyway be advised that it will not be exactly the same color/grain. Q2) I also read on your web site that the tub should rest on some blocks. Our bathroom is tiled–can the tub sit directly on the tile or does it need some sort of block. If so, what kind of material should the block be made of? A2) About the installation: if the floor is tiled, you do not need the blocks. Anyway it depends on how you are going to do the plumbing connection. If you are placing the tub on top of a floor drain, you can just do easily, as you would place a bottle on a funnel. If you want to connect the drain to the plumbing with a joint, you need some space under the tub to tighten the nut. Q3) Can a shower be installed right next to one of your wooden tubs, thus causing the tub to get wet daily during showers or should a divider be placed between the shower area and the wooden soaking tub that serves to keep water from regularly hitting the tub? A3) There is no problem in having the shower by the tub. This is the standard layout in japanese bathrooms. If some soap is reaching the tub, just be sure to rinse it after the shower. 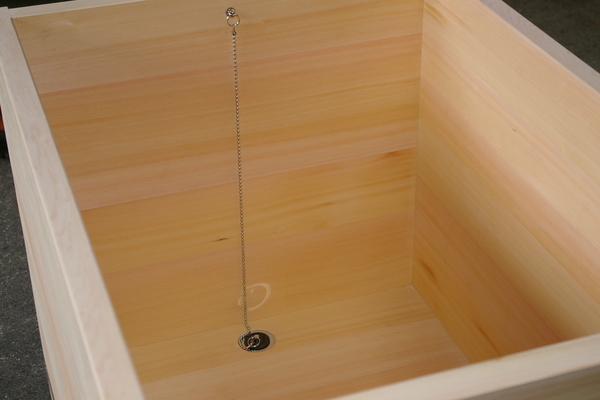 Q4) What is the life expectancy of one of your wooden soaking tubs–is it about 10 years or ____ ? 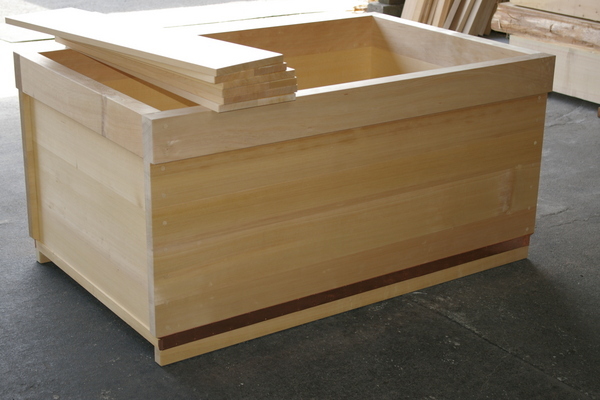 A4) The lifespan of a wooden bathtub is about 10 years but if it is maintained properly it can last 20 or 30 years. The tub has a overflow cut on the short side to redirect the oferflow towards the drain. The client lives close to Long Beach so we opted to an ocean freight to LA port and he will take care of the pick up in person. 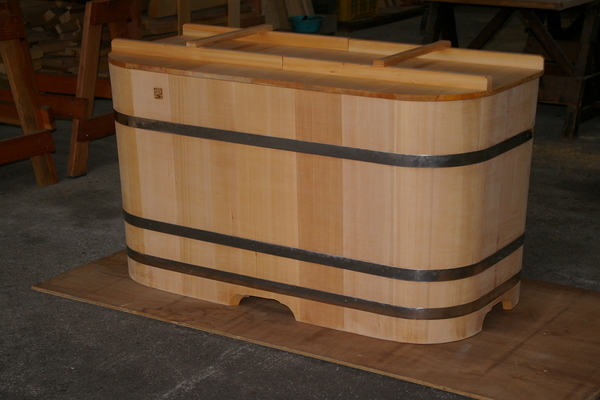 I think the tub will be very comfortable with its new family and I am sure it will make everybody happy…! 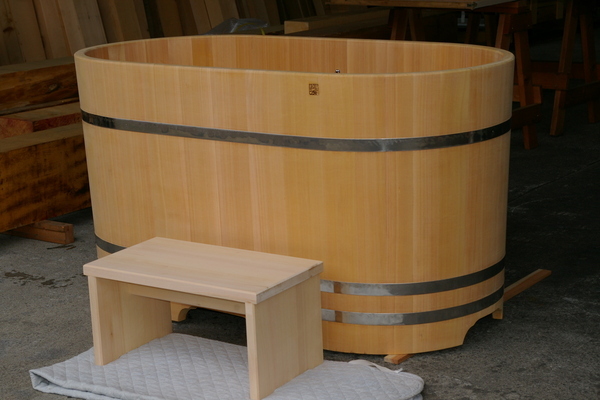 This ofuro has a barrel type construction and 2 removable banches, so it is possible to sit inside, with the hot water to your shoulders and have a relaxing chat with your partner. 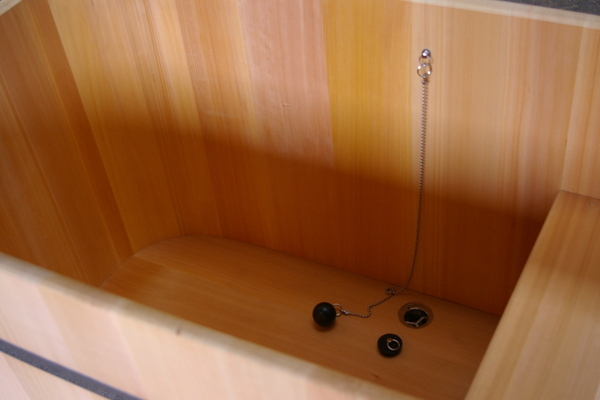 The tub is equipped with a cover split in two halves ans a step/bench to make it easy to enter and exit the ofuro. 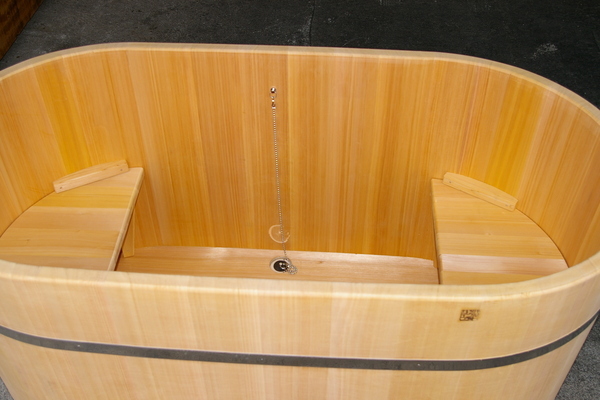 Here is a photo of the inside of the tub. The seats are both removable. 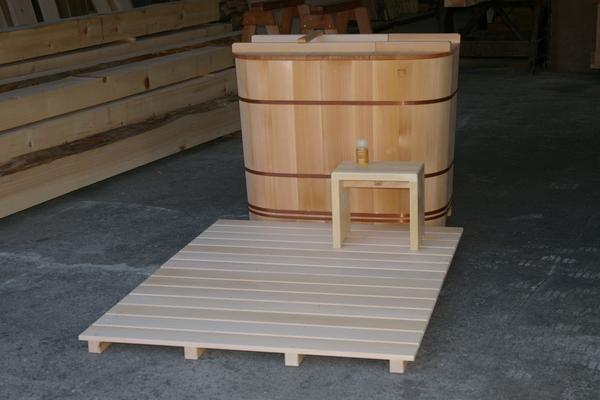 The client who commissioned the tub has a japanese acquaintance, an architect based in Tokyo. This made the decision process even smoother as the architect could discuss directly about the required options and installation details. It is equipped with a cover split in 2 halves, rubber plug, chain. At first we were contacted by the architect but went on finalizing the details directly with the clients who are a splendid couple. Despite the time difference, we had several phone conversations as -like sushi- every information is even better when is consumed fresh. The project is new construction, a refined minimalist residence. 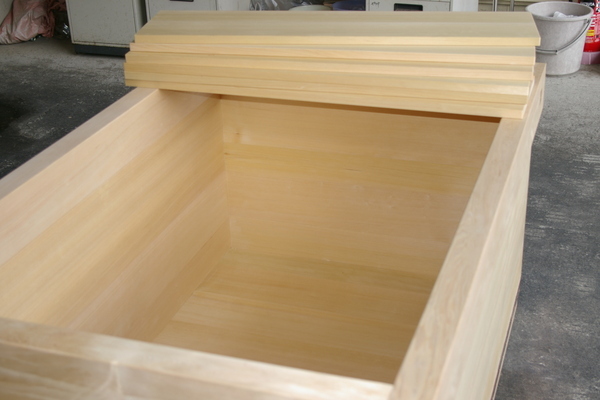 They were looking for hinoki lumber to build doors, cabinets, the stair and even the kitchen counter. 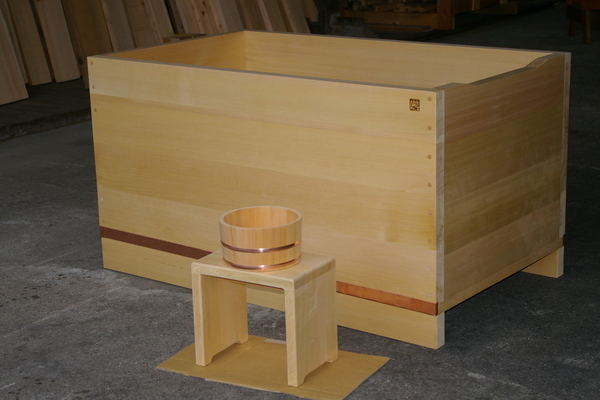 Here are two pictures of the bold knotty hinoki ofuro. 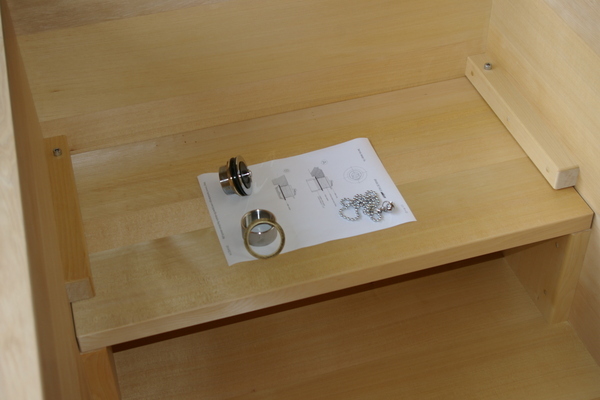 We were quick in building the tub, but it took time to assort the lumber for the cabinetry and fixtures. Wide sections of hinoki are becoming rare and we wanted to assort a lot of top grade material, with stable knots and uniform quality. Then, the wood needs to be kiln dried to fulfill the phytosanitary requirements of the swiss forestry department. We asked the client to wait one extra month and they were very nice and understanding. 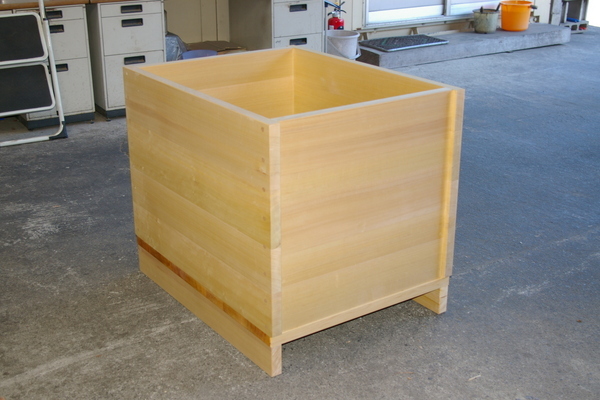 one cubic meter of knotless hinoki lumber in 3 meters length fit miraculously the container…! We are looking forward to post here an update of the completed project!! In the beginning of march we received a quotation request from an architect based in the Netherlands. Their client was interested in a japanese bathtub and we provided some drawings and installation information. Few months passed and we started to think that they gave up on the ofuro project when the order confirmation arrived in november. 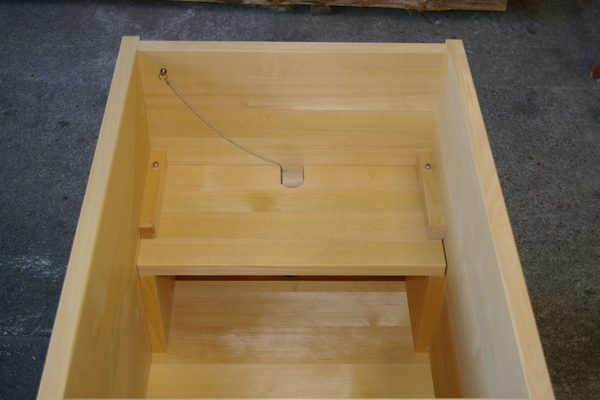 The tub is equipped with a cover split in two halves. and an internal seat. And here is a picture of the interior. The client opted for a rubber-ball plug in place of the standard type.